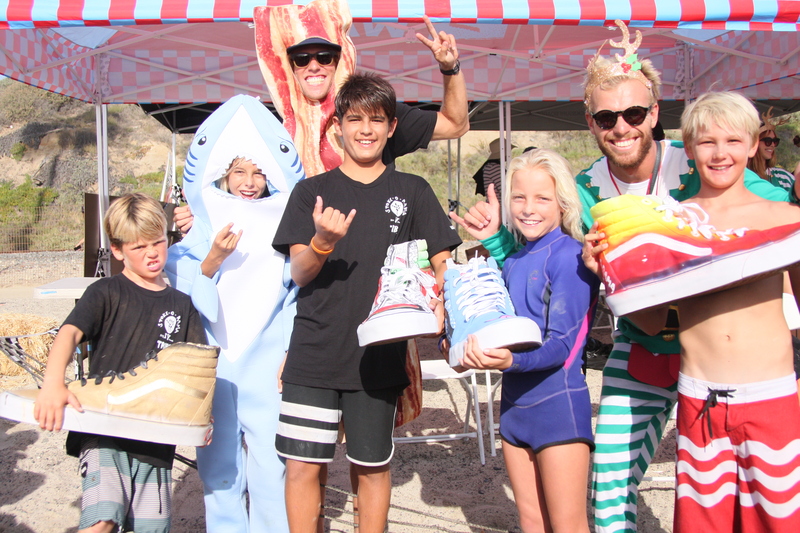 A group of 125 local groms ages 12 and under gathered with surfboards and Halloween costumes, giving it their all at the Gudauskas brothers’ fourth annual Stoke-o-Rama surf contest, Saturday, Oct. 24, at T Street. The lineup, up by 25 surfers from years before due to increased interest, is a free, locals only surf event presented by San Clemente-based pro surfers Dane, Patrick and Tanner Gudauskas and family, to bring youth together to enjoy a fun day of surfing while raising money for the Positive Vibe Warriors Foundation which then donates the net proceeds to the city of San Clemente’s Junior Lifeguards scholarship fund. Each year, so far, the Gudauskas brothers have made a $10,000 donation to the city’s Junior Lifeguards program along with donations from the community gathered at the event. With great waves—glassy and overhead for even the tallest of the groms—and beautiful summer-like weather all day, the beach was crowded with families of the competitors as well as a selection of former Stoke-o-Rama competitors who have aged out of the competition. Makai Bray, who won the Pops & Pups 8U division, agreed. The “big shoe” Bray spoke of, was a giant Vans high top sneaker, provided by the event sponsor as first-place trophies. Bray’s enthusiasm was matched by his fellow competitors—pretty much across the board, win or lose—in both surfing and the costume contest. 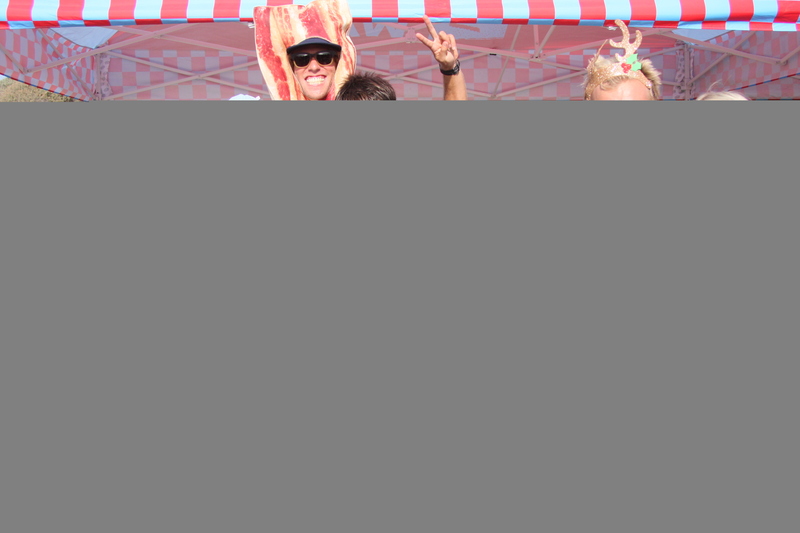 With this year’s event being so close to Halloween, Dane Gudauskas—dressed as a giant piece of bacon—told the crowd the addition of a costume contest was inspired, not only by the calendar, but also by the annual Timmy Dowell Classic memorial surf contest. First place in the costume contest went to Joey Madison, dressed as a great white shark. Tanner Gudauskas—who dressed as Santa’s elf for the costume contest—said this year’s event owed more than perfect weather and waves to its success.